More than 100 years ago we strapped camera’s to birds (mainly pigeons). In my opinion that was the birth of wearables as we know them today. Nevertheless, we had to wait until the mass production of microchips and the rise of inventor Steve Mann before the first ‘wearable’ was reality. The next step in the evolution of wearables was just before 2000. Companies launched sport apps and new devices for sport Geeks. From 2000 onwards the wearable market evolved steadily. And with combination of sensor data and predictive modelling the implications for society are huge. Therefore I was very interested in a new Urbancooker project to help an international corporate. – unfortunately I can’t disclose the name –. They want to enter the Dutch consumer market with a new wearable and health proposition. Last month we finished the project and despite the market is not completely ready for implementation, the plan and the product are! It’s for sure great things are coming; “The last 20 years wearables evolved steadily, the next 20 years they will come fast. The wearable market is exploding and people have begun tracking their behavior in several ways. The Swiss watch industry is being overtaken by the American and Asia tech-companies: Apple, FitBit, Huawei, Samsung and LG – they are all fighting to get a piece of the wearable-watch-pie. If you have been to Baselworld, or CES in Las Vegas you stumbled over the wearables that track your health, the location of your jewelry or your lover whereabouts if necessary. 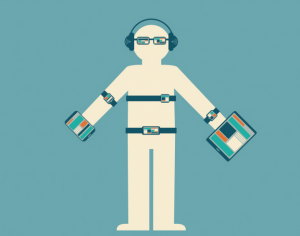 So, If we know one thing for sure – it’s wearables will be everywhere shortly. But maybe more interesting is the relation between wearables and health. I couldn’t find a single watch – apart from the Philips watch that is not available in all markets – that is accurate enough to be used in a medical context. And there is no scientific proof that wearables help us life healthier, happier or longer… If you are aware of those articles please share them with me. In the meanwhile I have been testing some watches. For the results check the link (in dutch).